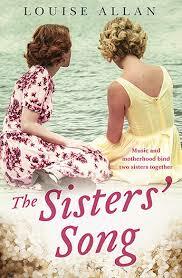 Set in rural Tasmania from the 1920s to the 1990s, this novel tells the story of two very different sisters. A story about motherhood and family ties, connected by a musical thread that binds these elements together. The Sisters Song is a story that will resonate with women of all ages. This novel won a Varuna residential fellowship in 2014, and was shortlisted for the TAG Hungerford unpublished manuscript award. We have two copies of this beautiful book in the office to give away! All members need to do is head onto our Facebook site and comment why you would like one, or email arianne@taswriters.org. Good luck! 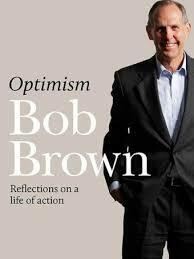 Tasmanian Classic – Optimism Reflections on a Life of Action by Bob Brown. “It is a fortunate life if a person feels more optimistic than ever before. That’s me.” – Bob Brown. Bob Brown has led an action packed political career and been at the forefront of environmental activism in Tasmania, with many avid supporters as well as fierce opponents. Optimism is a thoughtful, inspirational and compassionate reflection on his life before and since retirement in 2012. His stories are written with warmth and power, solidifying his reputation as a man of great humanity, courage and intelligence. 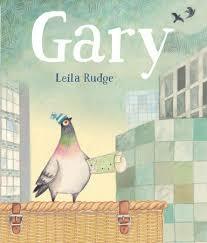 Kids recent release – Gary – written and illustrated by Leila Rudge. Gary is a pigeon who can’t fly, yet longs to explore the world. While the other racing pigeons head off on their travels, Gary stays at home and scrapbooks about his adventurous dreams. When he accidently ends up far from home, Gary discovers that flying isn’t the only way to explore the world. This heartwarming story teaches children about the power of dreams and ingenuity, and how to rise above their limitations. Gary is a 2017 CBCA Honour book. Five women go on a hike, only four return. Following on from her award winning debut The Dry, Federal Police Agent Aaron Falk is back, this time to investigate the disappearance of a hiker during a corporate retreat. 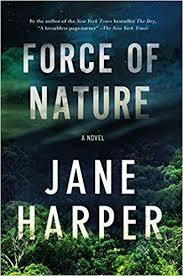 Fans of Harpers first book will be just as thrilled with her new story, this time set in the lush green forests of the fictional Giralang Ranges east of Melbourne.